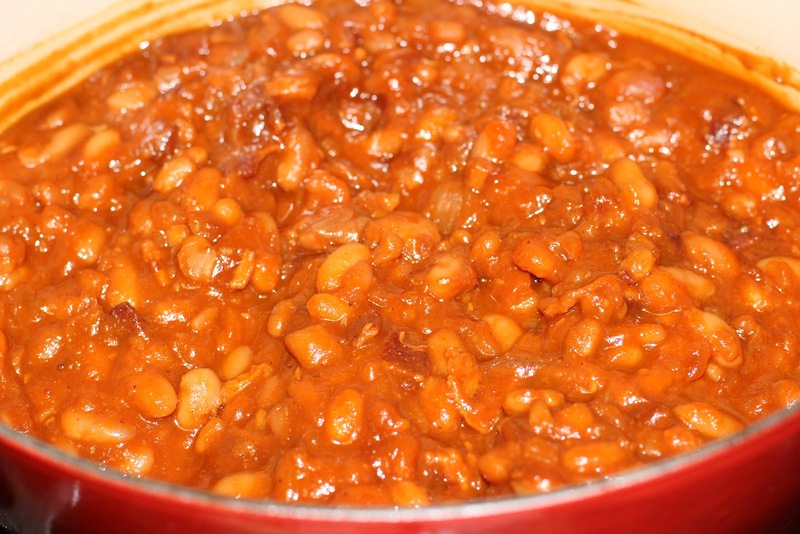 With Summer right around the corner I thought it would be fun to come up with a new recipe for baked beans. 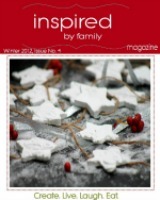 I have one recipe that I have been making for years but I would like to have a few varieties wouldn’t you? 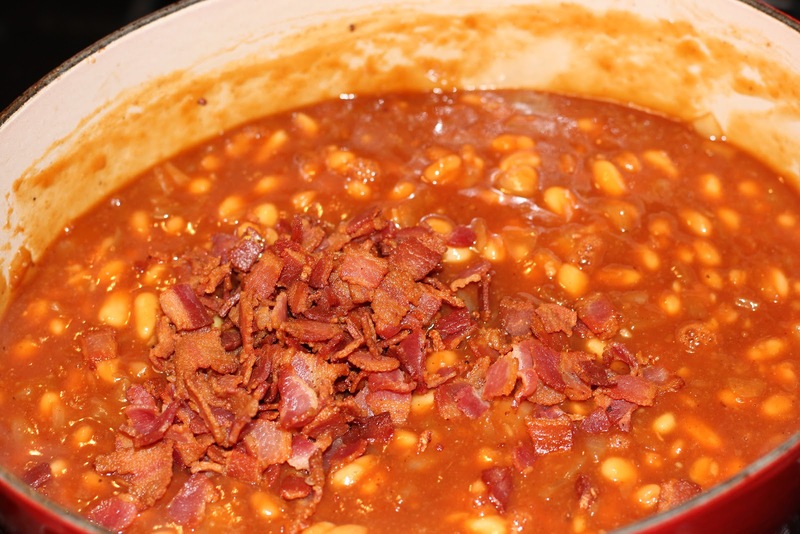 So after fiddling with the ingredients this one is my favorite by far with some of my favorite flavors in this recipe; bacon, maple syrup, and brown sugar, yum. Can’t you just taste the ribs off the barbecue and the potato salad cold from the fridge? 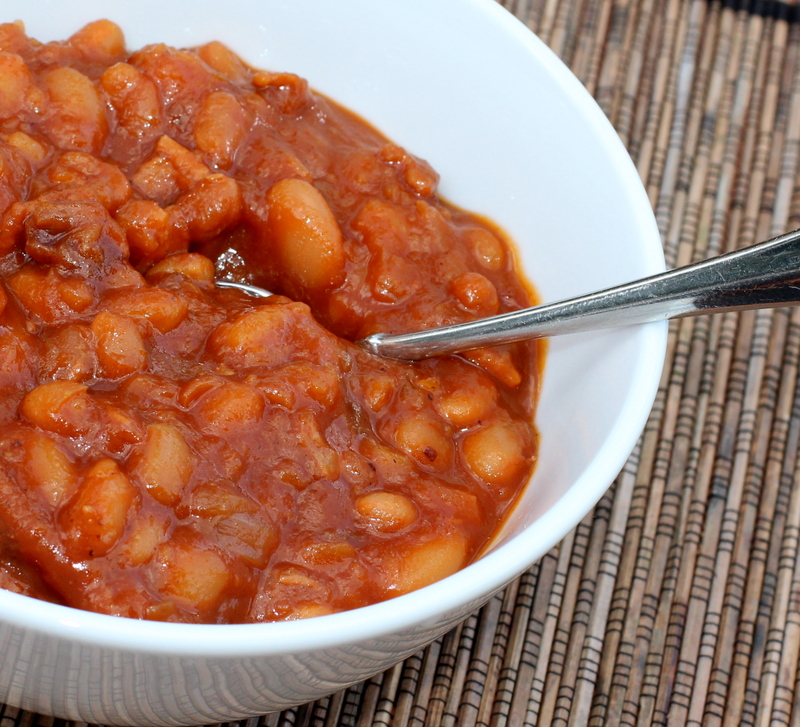 Well here is the perfect side dish to go along with those wonderful summer foods. 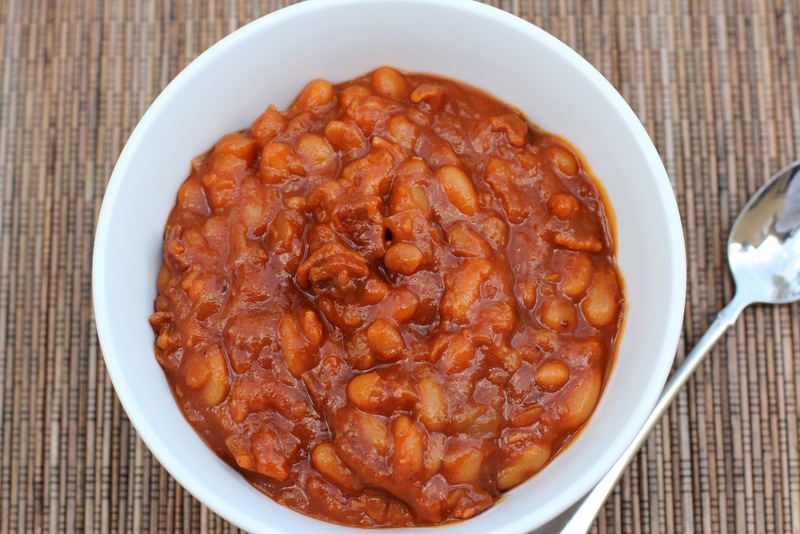 Perfect for your own backyard barbecue or to take as a Pot Luck dish. 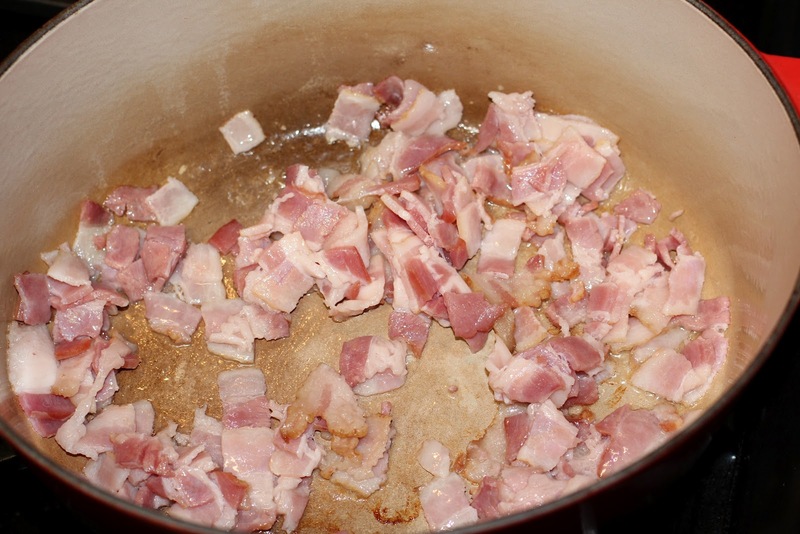 In a large dutch oven (5qt) or oven safe stock pot cook bacon pieces on med-hi until crispy, about 5-7 minutes. 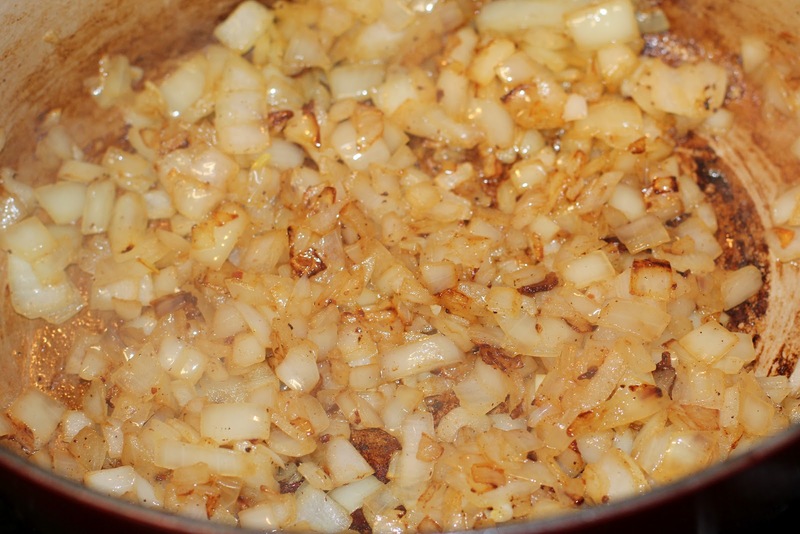 When bacon is crispy remove to a plate lined with a paper towel to drain and add the diced onions right to the bacon grease. Cook for about 7 minutes until tender and lightly browned. 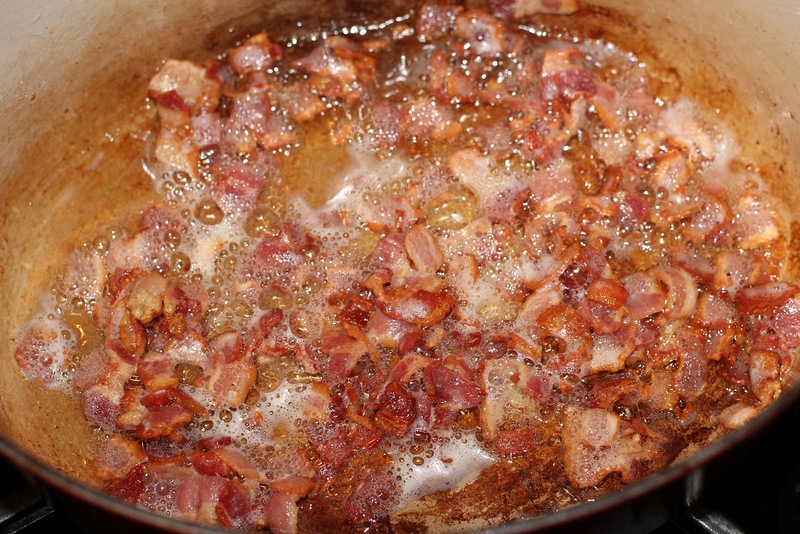 Add the bacon back to the pot and stir. 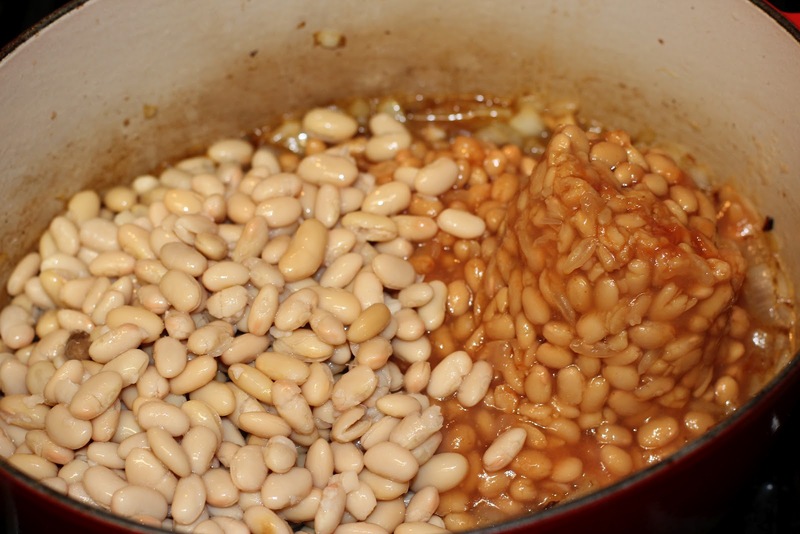 Bring to a boil then cover and reduce to a simmer. 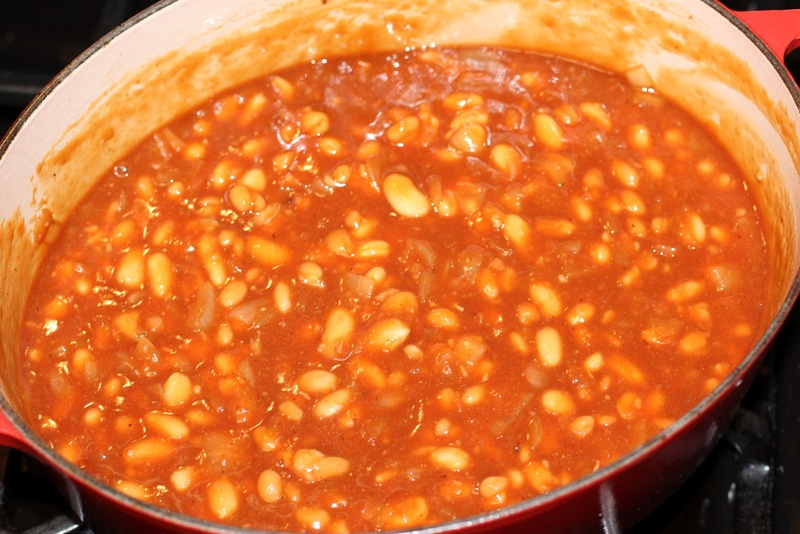 Place covered pot in oven and bake for 1-1/2 hours; stirring after 45 minutes. 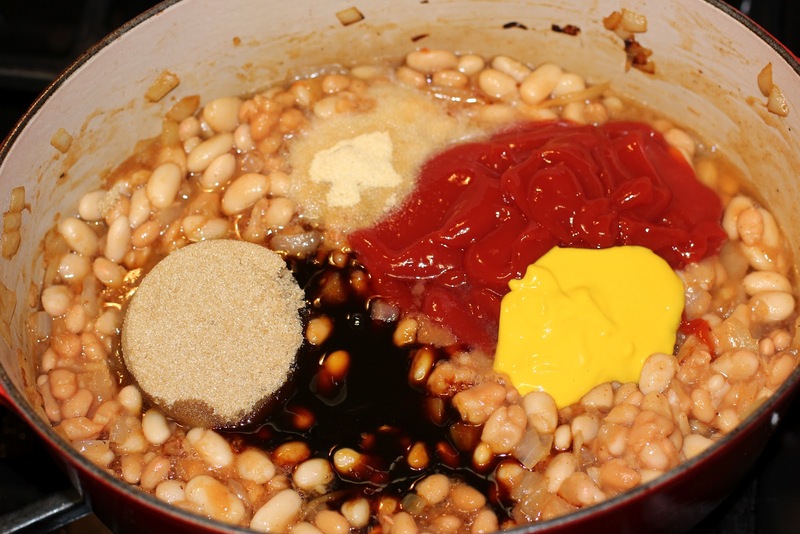 Beans with become nice and thick while cooking. 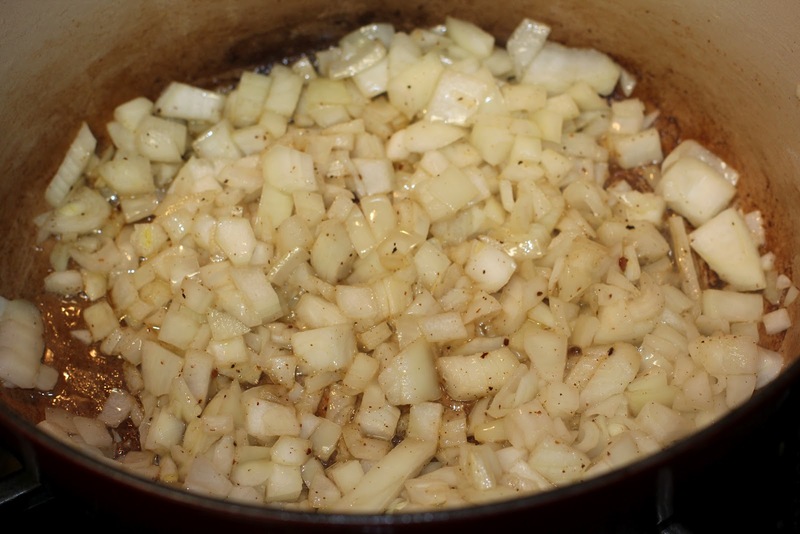 Great for serving as a side dish or as a meal.